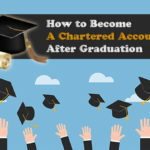 CA Foundation Course is the entry level in the Chartered Accountancy course. It is a part of the new curriculum implemented by ICAI on 1st July 2017 which has replaced the Common Proficiency Test. 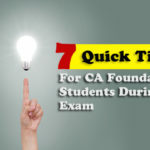 The Exams for CA Foundation conducts twice in a year i.e. May and Nov similar to other levels in Chartered Accountancy course. 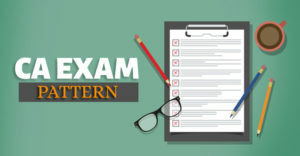 Next exam will be held in June 2019. Check the Date sheet of CA Foundation June 2019 Examinations. Also, check the Mock Test Papers for better practice of CA Foundation Examinations June 2019. 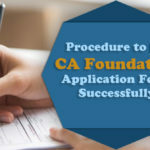 For Complete Application Procedure of Ca Foundation Course, follow the given link. This is an entry level test designed similar to the other courses. 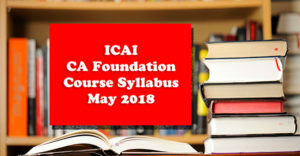 A student can register himself or herself with the ICAI for the CA Foundation Course after appearing in the 12th examination conducted by the examining body constituted by law recognized in India or an examination recognized by Central Government or equivalent thereto. 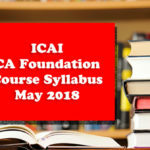 To appear in the Nov 2018 CA Foundation examination a student needs to get himself/herself register with ICAI before 30th June 2018 and in order to appear in May 2019 examination, one must complete the registration process before 31st December 2018. After getting himself/herself register for this course a student needs to complete 4 months of study period i.e. if he/she get to register for CA Foundation on or before 30th June 2018 then he/she can appear in November 2018 Examination or if he/she get to register for CA Foundation courses on or before 31st December 2018 then he/she can appear in May 2019 Examination. Foundation Exams held in May and November every year. 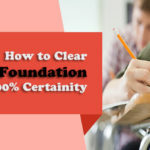 A student registered for the CA Foundation Course can appear in this examination after passing the 12th examination and completing minimum 4 months of the study period. Unlike CPT, all the four papers of CA Foundation held at different dates along with one-day preparation leave in each of the paper. 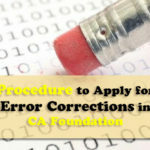 CA Foundation Course comprises of 4 papers two of them are subjective and two papers are objective. However negative marking for the wrong answers will remain same in objective papers i.e. for each wrong answer ICAI will deduct ¼ marks and for each correct answer candidate will be given 1 mark. Two new subjects are also introduced in the new CA Foundation course syllabus seeing their importance. Candidates clear this exam based only on their eligibility and not upon any reservation system. This is also one of the major advantages of choosing this reputed course. Chartered Accountancy course is considered as one of the toughest course but CPT is considered quite easy. The result of CPT generally lies between 30%-40%. This will get a major impact due to the implementation of CA Foundation. Attested copy of Admit Card/ Mark sheet of 12th Examination issued by recognized examining body. After completion of the above registration process students can either collect the study material from the concerned regional office (within one month) or it will be sent to the candidate through Centralised Dispatch System. 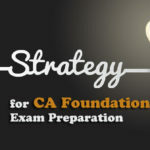 Registration in the CA Foundation course does not mean that you can appear in this exam. Students need to file an exam Application form to make them eligible to sit for the exam. 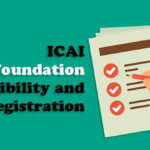 For this, students need to fill an exam application form on the ICAI website by using his/her CA Foundation registration number and password mail on his/her primary id submitted by him/her at the time of registration. The form is required to be submitted to the date declared by the council. 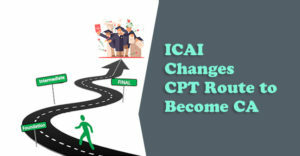 In order to appear in the examination hall, students require collecting the admit card from the ICAI website which is generally issued before 21 days from the examination date. 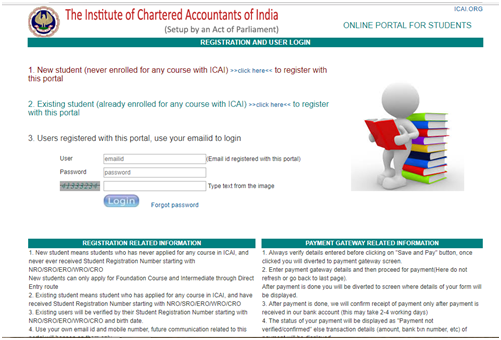 Admit cards are not sent physically to the students, you can only download it from the ICAI portal by logging into their account. The admit card contains students registration number, his/her name, roll number, examination center, timetable. The students can download their admit cards up to three times from the portal. They are required its print out to get enter in the examination hall. 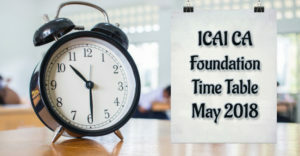 ICAI will publish the result of CA Foundation June 2019 in the third week of July 2019. Similarly, Nov 2018 CA Foundation result is declared in the third week of Jan 2019 or first week of Feb 2019. Students can download their CA Foundation Nov 2018 result from the given link. In order to download your result, one has to submit his “Registration Number”.